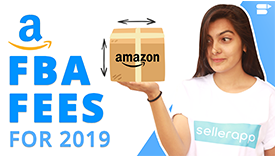 The smart Amazon Product Keywords algorithm probes through the most related ASINs to pull out highly relevant keywords to provide exponential advantage to your product listing. It's quite a known fact that keywords are the most important for your Amazon business. Where and how you use them in your listing copy determines how Amazon decides the relevancy of the keyword for your product. It is imperative you know very single keyword that is highly relevant to your product - important keywords that you know will lead to a sale. Neglecting even one keyword in your listing copy could affect your sales by huge numbers. Simply identify your product ASIN and the Product Keyword algorithm scouts through the ASIN cloud to investigate the relevant ASINs based on the context and relevance to pick up all the keywords that are critical for your Amazon business. To identify your competitor’s main keywords, simply track the ASIN, the algorithm works the rest for you. Product Keywords analyzes the ASIN to list all your competitors' keywords, the ones that they are indexed for. From the keyword list, choose the most profitable keywords you're not already ranking for. Through a complex prioritization process, Product Keywords determines the most important keywords in your competitor’s ASIN listing. Scour through the list to see which keywords could give you the most advantage and add them to your own campaigns or even your listing. From long tail keywords to you main keywords, Product Keywords gives you hundreds of keyword suggestions and all the data points to identify the value of the keyword. Based on the context and relevance of the keywords to the ASIN, Product Keywords extends key data points like the monthly search volume, the relevance of the keyword to the ASIN, and the CPC cost, even where the keywords are indexed from so you can easily find the right keywords for your product. What is the advantage of Product Keywords ? What marketplaces does Product keyword support ? How often is the keyword data refreshed? Can I see a trial demo of the entire platform ?